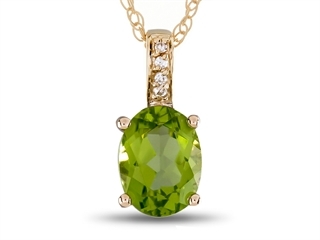 The beautiful LALI Classics 14k Yellow Gold Peridot Oval Pendant Necklace, crafted in 14 kt Yellow Gold. This beautiful design is mounted with 1 stone 1.390 carats prong set light green Oval Peridot i2-i3 clarity, 4 stones 0.020 carats total weight, prong set Round White Diamond K-L color I3 clarity. 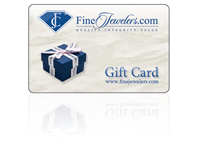 This style measures 4.00 mm high, 4.00 mm wide and 10.00 mm long. Designer: Lali Classics - Fourth Generation Jewelers brothers Arun and Adam, have been key players in the jewelry industry for the past three decades. From apprenticing at early ages at some of the most prestigious international diamond houses to earning executive positions at one of the premier manufacturers and wholesalers of fine jewelry in America, they had but one task left unfulfilled; to set out on their own. to evolve. LALI Classics melds elegant style with modern adaptation through many years of study, craftsmanship, and experience. From their new state of the art headquarters in the world-renowned International Gem Tower, the Bassalali brothers pride themselves on developing elegant yet affordable jewelry designs that awe the senses and ignite emotions.